Cubanet, Miriam Celaya, West Palm Beach, 18 July 2018 – With that sleight of hand that the Cuban authorities have always so skillfully displayed, currently they seem to have convinced a good part of national public opinion – and even more than a few foreign press agencies – of their supposed “will to change,” starting from the novelties that will be confirmed in the constitutional reform being planned behind closed doors by none other than Raul Castro himself. The modifications that are part of those momentous developments that will soon adorn the Cuban Constitution include the recognition of private property, which already exists in practice; the limitation of the presidential term to a maximum of two periods of five years each, as had already been anticipated in the VIII Congress of the PCC; the concurrent establishment of the figures (hitherto unrecognized) of the President and Vice President of the Republic; as well as the prohibition of discrimination against people because of their gender identity, their ethnic origin or their disabilities. The issue of “private property” has not generated much interest among the population, which is partly due to the fact that its recognition is restricted within the rigid governmental controls that demonize “the accumulation of wealth” (and therefore of property), and also because the majority of Cubans do not really have the patrimony or pecuniary capacity to acquire it. Thus, for this poor majority, this Law does not constitute a direct benefit or a significant change relative to their previous status. The time limitation of the presidential mandate does not mean a real change as long as there is only one legally recognized political party in Cuba and no new electoral law is enacted that recognizes the right of all Cubans – rather than the insignificant 600 commissars – to decide at the polls who to elect to hold this position. However, regarding the issue of gender identity, the response has been very different. Like a pack to which a bone has been thrown to tease its hunger while the masters reserve for themselves the juicy slices of meat, both those supposedly “benefitting” or “harmed” by this reform have been embroiled in a pithy speculation about the appropriateness or not of marriage between homosexuals, the rights to adopt, and other endless “pros” and “cons” that have not been explicitly reflected in the (unknown) official agenda, but that have exacerbated the prudishness of religious communities more retrograde and dogmatic than the old aspirations for equality of rights among the LGBTI communities. That said, the matter would seem “normal” and even proper to a democratic society. Moreover, it suggests that Cubans on the Island are at the same level (or even at a higher level) of debate or recognition of social rights than the most democratic nations in the world. 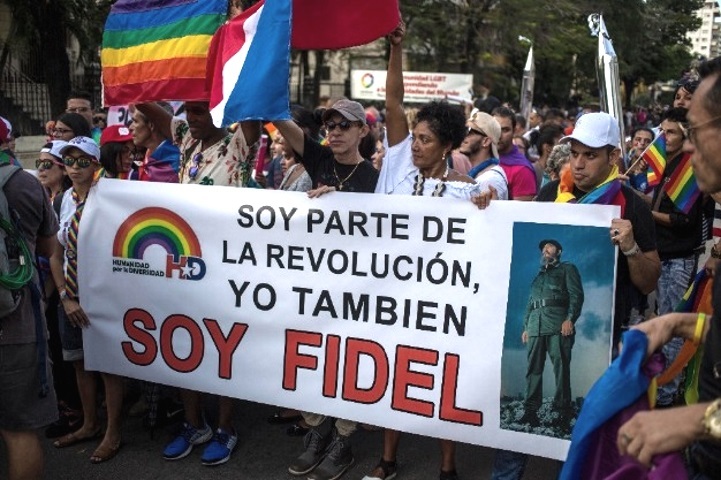 And it is exactly here that the deception lies, because while religious leaders and LGTBI communities engage in a Byzantine battle that – we already know – will end up being resolved at the heights of power and at the convenience of the powerful, the essential issue that is being overlooked is the violation of the rights of all Cubans when it is reaffirmed that the constitution will maintain the “socialist character of the political and social system” and the role of the Cuban Communist Party as a “superior leadership force” that will continue to control, with its iron fist, the destinies of all, be they heterosexual, homosexual, white, black, mestizo, women, men, religious, atheists or agnostics. The endeavor is so Manichean that it is hard to attribute naivety to those who succumb to the illusion of a “democratic” debate about their gender identity, their equal right to marriage and the creation of a family and even assisted reproduction, while no Cuban can even recognize such basic rights as the freedom of association, of expression, of information, of movement, of choosing what kind of education they want to give their children or who they want the president of their country to be. It is not a matter of denying the just claims of particular rights of each group or community, particularly those that have been systematically relegated and discriminated against. But the truth is that under conditions of dictatorship no Cuban will have their rights guaranteed, especially because the recognition of those “rights” responds just to the political interests – and only to them – of the privileged class that holds absolute power over lives and haciendas. If we believe that the “great battle” is the one that will be waged only by some social sectors more discriminated against than all Cubans, and if the “conquests” to which they aspire are confined to appearing finely dressed before notaries who will certify a sentimental union or the creation of a family whose members will remain in a thousand ways subjugated by an omnipotent dictatorial power legitimized in the constitution, then we can renounce all aspirations of freedom that belong to us as nationals. In pursuit of the small crumbs of legality now offered by the autocrats, some useful fools – and with them also some carefully hidden servants of Castroism, because the “revolutionaries” are everywhere – continue to leave behind the larger interests that involve all of us. And this is, exactly, the government’s objective. It is all a diversionary maneuver to fragment the aspirations of freedoms of common interest, create false sectarian expectations, and stimulate the attendance at the polls of an electorate that in the last “elections” has increasingly demonstrated clear signs of apathy and fatigue. For the moment, the hoax is working for the government. If this is the case, we already know who will be the winners and who will be the losers in this endlessly announced saga.